In this short yoga video I will answer the question, why release fascia. There is some debate in the field of myofascial release about the effectiveness of myofascial release right now. Do the foam rollers and balls used to release fascia actually work? How does myofascial release work with yoga? In this video we will explore the effectiveness of myofascial release and how it actually works. 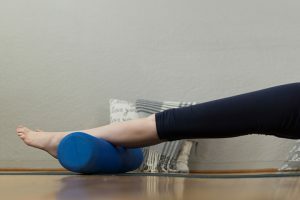 I will take you through a myofascial release using a foam roller for your calf muscles and then test out the effectiveness of this myofascial release on your in malasana or squat pose in yoga. Does the myofascial release make a difference to the range of motion in your ankles, knees and hips in this pose? Do you have less pain in the pose? Do you feel greater ease of movement in this pose? For a PDF of my favourite props and how to use them in a 10 week series of videos enter your email address below.